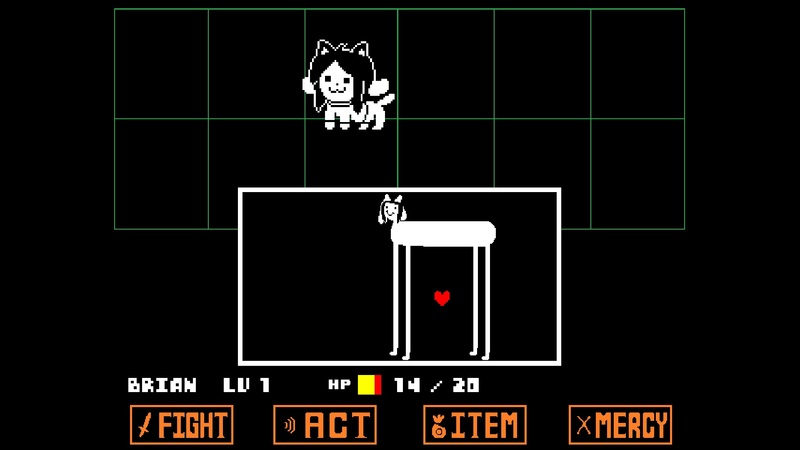 Undertale is an RPG that will fill you with determination and all sorts of other emotions. I have completed many RPGs during my time as a video game reviewer, but I can’t say I’ve felt such a vast mixture of emotions and attachment to any one game in such a short period of time. The best way to describe Undertale (and stay with me here) would be that it is a cheeseburger at first sight, something that many people are quite familiar with. But once you taste it, it also surprises you with an ice cream flavor you were craving, a kombucha tea flavor that you would have never tried but are now glad you did, and the unexpected kick of a bratty little kid that surprised you but didn’t hurt too much. 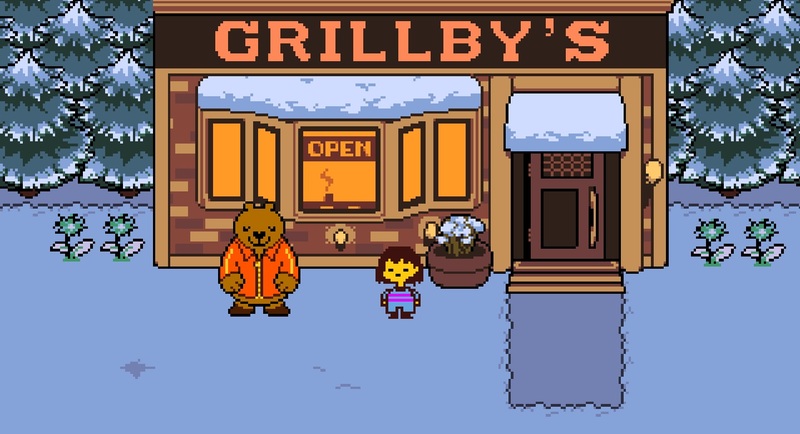 If you like surprising cheeseburgers (and RPGs), you will love Undertale and everything it offers. Initially, this game has the classic fantasy RPG framework. There is an age old war between humans and monsters, and you as the main character somehow wind up right in the middle of monster territory. 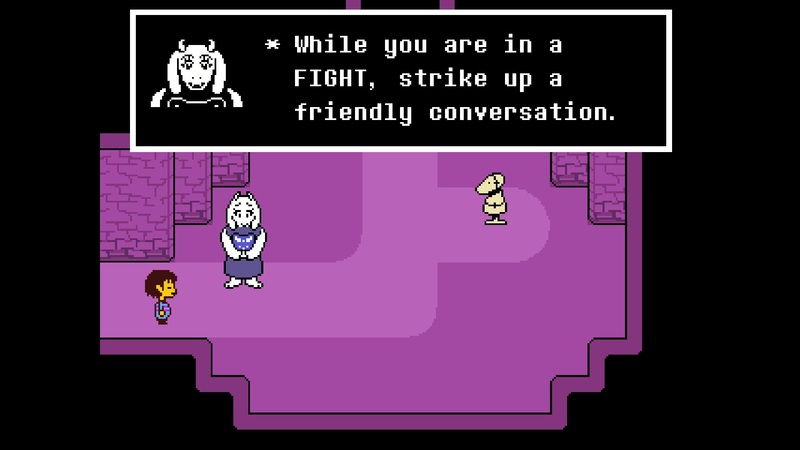 You will navigate towns and dungeons, find cool items, and engage in random battles while making your way back home– but right away the game encourages the player to “strike up a friendly conversation” instead of fighting when facing conflict. You might be thinking, “OK, so instead of mindlessly pushing X to attack, I push X to talk and win battles”, but it isn’t quite so simple. This is not one-hug-fits-all, and you can’t just ‘nice’ someone to death. Each monster has a unique personality, with likes and dislikes that may not be obvious at first glance. In addition, some monster’s behaviors change completely when paired up with other monsters, resulting in old dialogue choices no longer pacifying the monsters in these new situations. Even if you come in peace, monsters will still attack you because, well, they’re monsters! This will result in an interactive ‘bullet-hell‘ type phase where the player (represented by a heart) will have to dodge the monster’s attacks. Each monster has a unique set of attacks which can range from legitimately dangerous to downright bizarre. Once you have proven yourself peaceful to the monster, you will be able to end the battle and continue forward. For a game which promotes pacifism, the player is always actively involved. This is the timed attack system where the player must push the action button right as the vertical line passes through the center of the screen (indicated by the neon green area). What kind of person are you when nobody is looking? While the choice to attack or remain a pacifist is completely up to the player, the consequences to these choices are very real. The world at large is directly impacted, and can quickly turn into a very scary place if you decide to kill everyone. Generally, video games are a judgement free zone allowing players to do whatever they’d like, but make no mistake about it–Undertale is judging you. This game keeps track of the monsters you’ve killed, the times you’ve died, and even the times you have reloaded the game! Did you accidentally kill an important character, and reload your save file to let them live instead? Not only does the game know, but it will even confront you about it. This apparent sentience is quite unsettling, and leads into creating one of the most terrifying final boss encounters I have ever faced in any game. Undertale may look cute and simple in appearance, but the fact that you never really know what it’s judging or thinking leaves you with a slightly creepy feeling at times. The game has witty design, but not in the way that you might think. In fact, I would say some of the game design is rather rudimentary. The map layout isn’t the most innovative, and reaching previously cleared areas could be a little more convenient. The puzzles aren’t particularly difficult or groundbreaking, and it’s no secret that the graphics are dated. Even the attack system is fairly old-hat, minus the details of the ‘bullet-hell’ scenarios. So why is this game good? 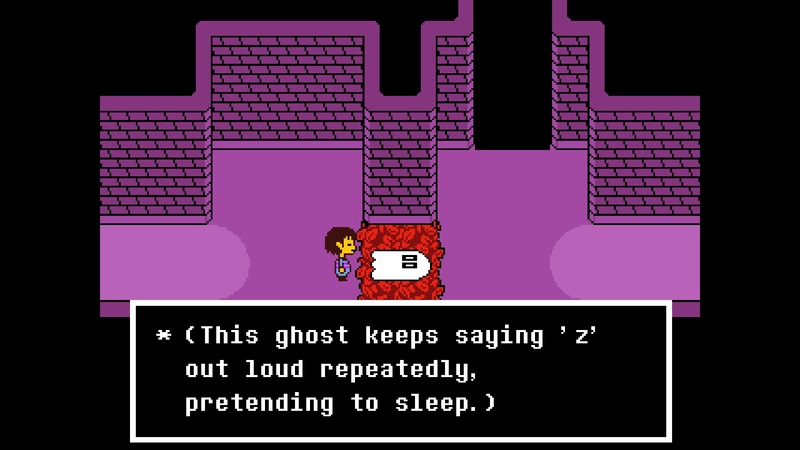 In the modern gaming world where superior looks and flashy gameplay allow a game to have unimaginative stories and uninspiring character motivations, Undertale places all of it’s efforts into creating highly relatable moments that are funny, but dark and real at the same time. 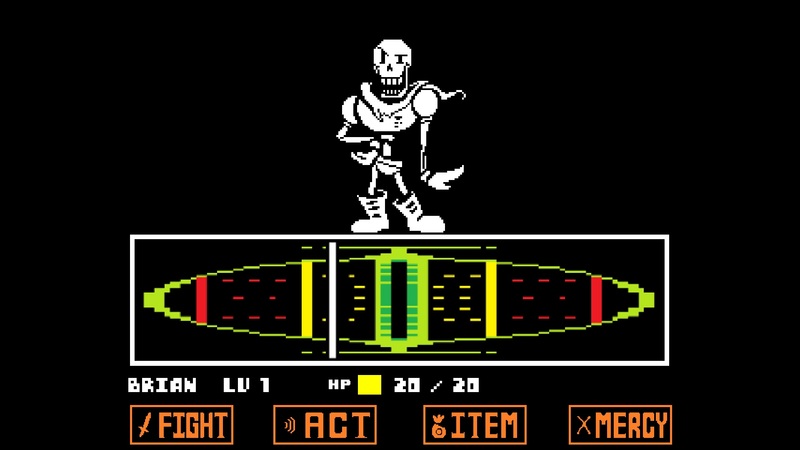 The main goal of Undertale is connecting the player with the world, providing breaks from this emotional connection with action sequences, rather than vice versa. This results in interacting with a world that has every detail completely thought out, and boy does this world have charm. The jokes may be as small as funny area descriptions ‘You can’t go through the fire exit, because you’re not made of fire’, to completely defying traditional RPG mechanics such as a vendor rejecting buying your ‘old branches and used bandages’ for fear of going out of business. The game always tries to keep you on your toes, and the effect is two-fold for any RPG veteran (or pun enthusiast). The world also has very personable characters, my favorite being the robot TV-personality who is programmed to have an obsession with killing you. He may be a maniac, but his aspirations of killing you are almost as strong as entertaining the monsters of Undertale, making sure he only attempts to kill you while on national television. 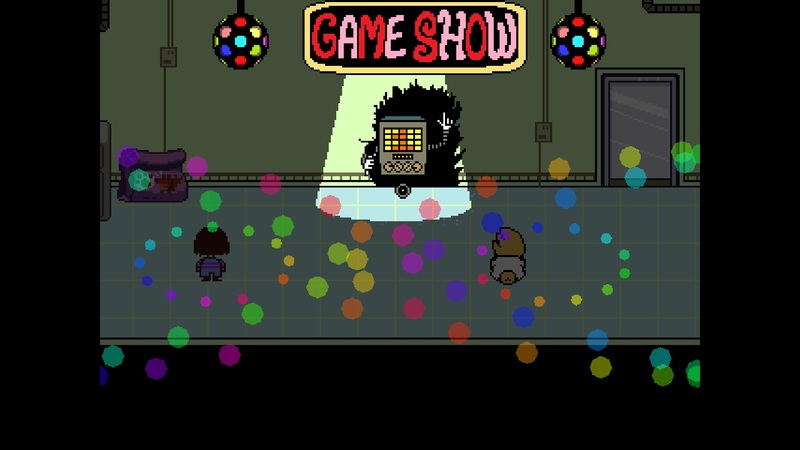 Since the monsters of Undertale mostly have a bleak future, he takes it upon himself to make sure that future has some distraction and entertainment, which is oddly admirable. 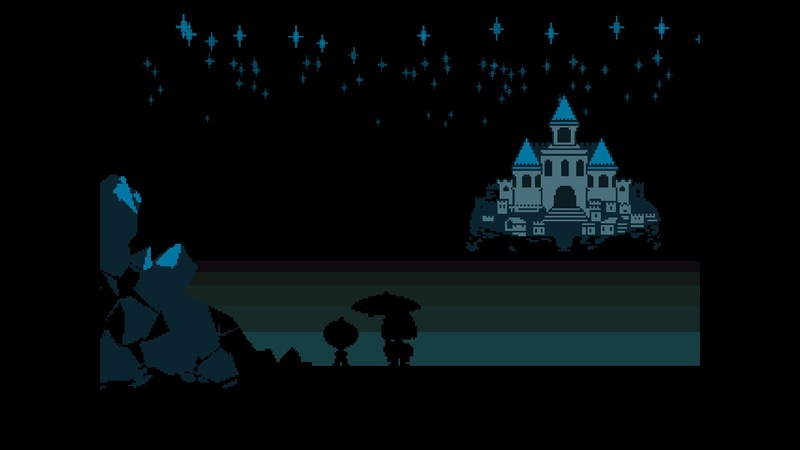 Undertale is a must play for RPG lovers, as well as people who are looking for an experience outside of the usual. Even though this game only came out last month, I can already tell it will have a cult following. There are currently many forums dedicated to figuring out all of the possible endings of the game, as well as deciphering every obscure clue which may lead to the next possible secret being unveiled. 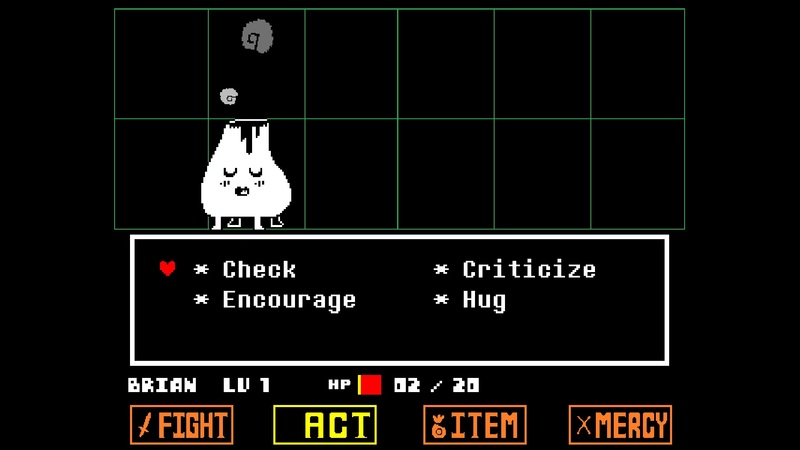 While Undertale doesn’t even operate on half the bits that most modern games do, I would say the feelings it evoked were twice as powerful. I don’t want to speak in absolutes and say that current games on the market don’t make me feel things, because they do! However, the feelings are generally short-lived and relevant to only that particular gaming session. Undertale on the otherhand, almost insidiously latches itself onto your heart, making you genuinely care for both the inhabitants of this imaginary world, and feeling completely responsible for the choices you have made well past the ending credits. Knowing that more people will discover and talk about this game…it fills me with determination. (Come on, I had to use the phrase at least once).